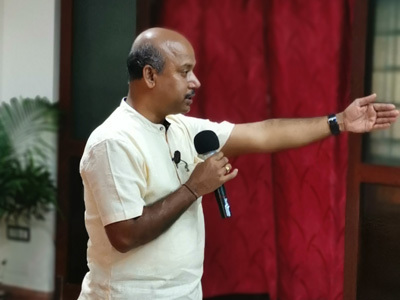 NAMAH—The Journal of Integral Health and Sri Aurobindo Centre for Advanced Research (SACAR) jointly organized a ‘Living Within’ Study Camp on December 20–23, 2018, titled ‘Make Your Destiny’. For anyone with their life at crossroads or unsure of the next steps in life, this workshop was for them. Those besieged by fear, doubt, uncertainty, insecurity and anxiety about your future... this programme was a call to them! Making our destiny is the need of the hour: it is the only meaningful aim of human existence and essential to our well-being. Truth is our birth right and our glorious future. We can manifest our Truth only by living it. 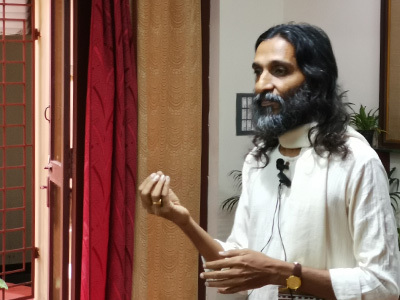 During the four days of self-exploration, introspection and interaction, the aim of the workshop was to shed light on many perplexing questions, the most central being, ‘Why am I here?’ and ‘What is my part in the divine Play?’ This camp intends unearthing important solutions to our existence. Finding and creating one’s swadharma is the aim of all human life. It is more a matter of being rather than doing. 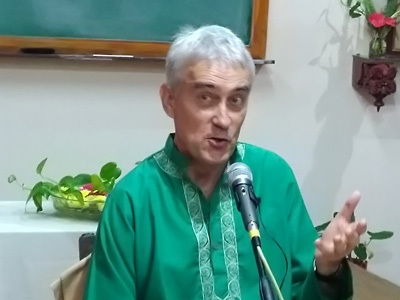 This seminar studied and shed light on this fundamental topic of human existence. 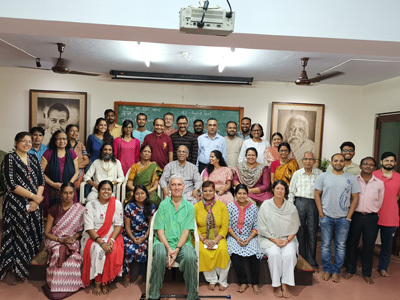 This was the seventh joint undertaking between SACAR and NAMAH and it attracted a rich array of facilitators who arrived from all over the world, while the unique characteristics of these joint NAMAH–SACAR study camps were maintained. Once again, a rich diversity of styles and approaches was witnessed and the sessions were vibrant with dynamic interaction. Whether conveyed through the eyes of Vedic wisdom or in unlocking one’s creative potential or by practically and consciously installing the Truth into one’s being, the essentials required for the journey towards our destiny were clearly discussed and identified. The necessary freedom to achieve our destiny can only be acquired by continuously moving upwards and, in essence, the aim can only be achieved through yoga and sadhana. Living truly in body, life and mind is the need of the times. Living our destiny is the ultimate prize of a conscious adherence to one’s Truth and there can be no greater destiny than to collaborate with our Pathfinders in the work of Transformation. The four days of self-reflection and insight were inspiring and enriching for all concerned.